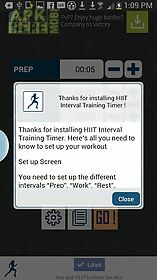 Hiit interval training timer app for android description: Our app is a simple and efficient timer that will be your best companion during each and every one of your interval trainingworkouts! 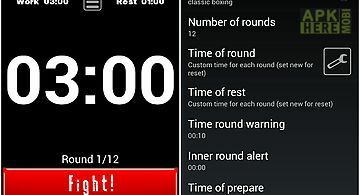 This interval training timer will help you focus on your workout so you won 39 t be distracted by a screen or a watch. Forget about the time just follow the sounds. And when you re done you can share your results with your friends on facebook and twitter! 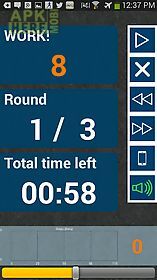 And if you love this timer you can get rid of the ads forever with our no more ads in app purchase. 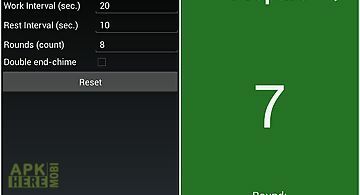 The funds collected will support our regular developments in the app. 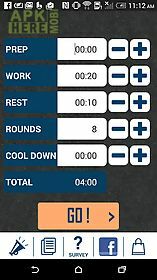 Main features : set up screen with a very easy ui in app volume bar so you can adjust separately the music volume and the app volume 3 sounds choice and a voice load preset : you can load one of our existing preset (fat loss tabata) or one you saved previously save preset : you can save the workout you just set up and give it a name link to our facebook and twitter accounts : you can like the app share your experience with other users share your workouts make suggestions for new features vibrate mode 3 seconds warning click forward backward button during the workout to go to the next previous interval step counter included in the training screencoming very soon : a calendar to save all your workouts! What s hiit ? 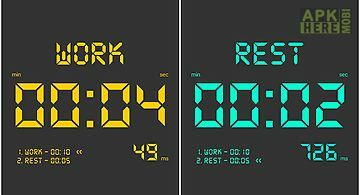 Hiit (high intensity interval training) is a method well known to burn fat in a short intense workout. 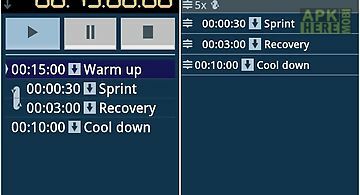 High intensity interval training (hiit) is an enhanced form of interval training an exercise strategy alternating periods of short intense anaerobic exercise with less intense recovery periods. 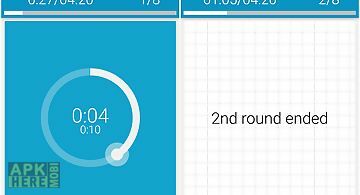 Hiit is a form of cardiovascular exercise. 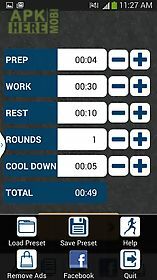 Usual hiit sessions may vary from 4 30 minutes.